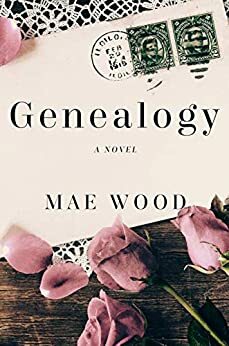 Genealogy: a novel - Kindle edition by Mae Wood. Literature & Fiction Kindle eBooks @ Amazon.com. My great-grandmother's name is bold across the cream envelope, now golden at the seams with age. I can't remember the last time I’ve seen graceful, purposeful handwriting with a fountain pen and not the hasty scrawl of ballpoint. A twelve-question discussion guide is included, making Genealogy a perfect choice for your book club or a buddy read. "Mae Wood&apos;s Genealogy will leave an indelible impression on your heart. An absolute masterpiece and a must-read. "- B. Cranford, author of The Avenue series. What a beautiful read! There is just too many parts to get into to accurately write a review to give the justice this book deserves. I need to reread it now and just don’t have the time to write a review worthy of the book BUT YOU NEED THIS BOOK. 5.0 out of 5 stars"Perhaps his mind created her. 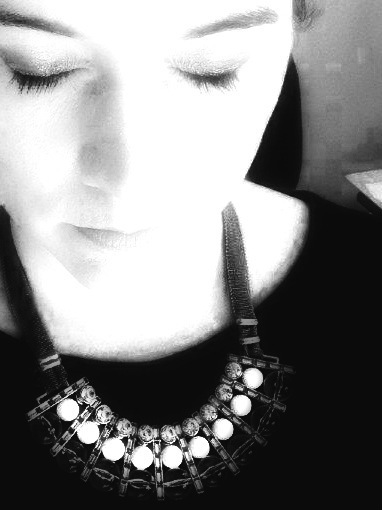 She was a vision, after all." Lost love letters written by Alice and Elliott 100 years ago, which were found in a secret drawer, paved the way for Ali and Ben to meet and opened the door to a time when life was different but love was still the same: magical, extraordinary and full of adventure. Despite living 100 years apart, they lived parallel lives. The two couples had a lot in common; they were adventurous and wanted to spend their lives seeing and doing things together. Elliott noticed Alice on the train and didn’t miss his chance to introduce himself one morning at breakfast. Even though Ben didn’t want to talk to Ali about the letters, she didn’t give up and continued to email him, adding more information each time, until he agreed to email her back. Elliott always regretted not asking Alice to go with him on the ship to the Philippines. In a letter she never sent, she admitted that she would have gone with him and that she wanted to adventure with him. Who knows what would have happened if she had mailed the letter. Of course, Ali and Ben wouldn’t be here if Alice had run away with Elliott, so that is just and interesting anecdote. It was love at first sight for Elliott and he definitely swept Alice off her feet. She loved spending a wonderful five days with him and oftentimes she wondered if it had all been a dream. Elliott sent flowers to Alice with a personal note the morning he left and she kept and cherished the gift for the rest of her life. Ali and Ben began their courtship emailing back and forth, where they got to know each other and eventually felt comfortable enough to share all of their hopes and dreams. It doesn’t matter how you get to know someone, whether through handwritten letters or by way of cyber-space. What is important is that you are honest with each other and keep an open mind and heart. I am in love with this book because not only is it a love story but it also gives us a glimpse into the past and shows us what the world was like so long ago. Most of us don’t remember our history lessons but by reading their letters we can understand what the world was like at that time, how hard it was to find a job, make a living and be happy. This is a one of a kind book that no one will ever recreate because Mae wrote these words from her heart and gladly shared them with us. 5.0 out of 5 starsCaptivating read! What a breath of fresh air this book is! Mae Wood has outdone herself with this poignant, history filled romance that spans yesterday to today. First I have to say that this is a very light romance, your grandma can read it and not blush. BUT it’s an unbelievably romantic book as well. So for this normally detailed loving romance reader it was an just an amazing read. I could not put it down! And I didn’t want it to end. Mae Wood gets her inspiration from old family letters that were found. And this makes me love this book even more. In Genealogy Ali (named after her great grandmother Alice). Is at a crossroads in her life, her long term relationship is in flux, she had to move back to her home town and her grandmother’s health is failing. Her beloved grandmother can no longer live alone. While cleaning out her grandmothers home she comes across love letters to her great grandmother from a man who wasn’t her great grandfather. She takes the letters home to read (and the reader get to read the letters to) and learns about a whirl wind romance between Alice and Elliott. After finishing the letters she decides to try and find Elliott’s decedents. And your gonna love what happens next! Truly great book. Very original and charming, and I'm so glad I discovered it. Reminds me a bit of Ella Carey's Paris trilogy, and "Secret Shores". Perhaps I'm developing a thing for books that include present and past scenarios based on true events! I'm now going to try another of Ms. Wood's books. Ali was helping clean out her grandmother’s house before she was moved to a nursing facility. Her grandmother gives her items that she wants her to have and Ali also finds letters to her great grandmother. These letters are from a man she met and fell for but he had to leave. Ali devours the letters trying to learn more about her family history! What will Ali discover? Who is this mystery man? How does this relate to situations Ali is going through? This book draws you in with beautiful letters and love and holds on till the end! 7 stars to a book that took me on a beautiful journey of life. This book was written and woven together with some much love and details, you'd have be blind not to notice. Every now and again a book comes along that stops me dead in my tracks. I can’t move on from the feelings elicited, the words drummed into my heart. This is one of those books. Genealogy is a big book. Big in heart, soul, and intent. Swirling in and out through generations, continents, and world wars; this story is bound together by a constant ribbon of correspondence. Heartfelt, lovely, earthy, bittersweet, deliberate correspondence by the star-crossed Elliott and Alice. I fell in love with them, and their story, and their descendants. This book will remain in my heart for a long time to come.